David Innes, senior partner in our Surrey office, completes another year as visiting professor at Surrey University leading two groups of multi-disciplinary students through a 12 week design that replicates the real world of working with colleagues from different companies. 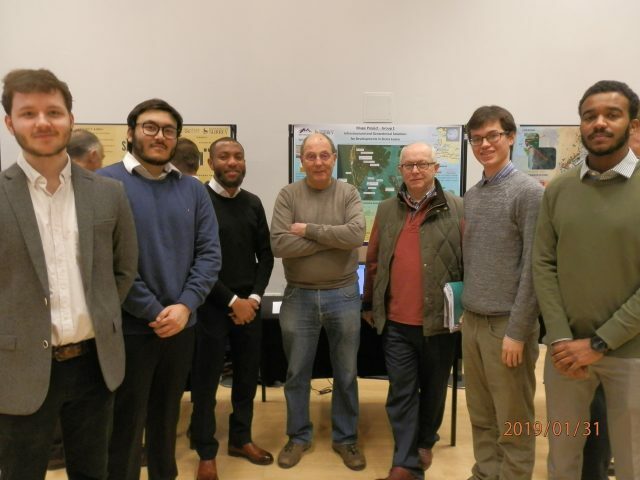 Students from the Schools of Civil, Aeronautical, Electrical, Chemical and Medical engineering are teamed up to quickly establish briefs, carry out research and deliver detailed technical and financial feasibility reports into real world problems. As the students are new to each other, this tests their abilities to establish effective communications and teamwork and work in technical areas that they may be unfamiliar with. The project this year was delivering infrastructure for a new town in Sierra Leone in West Africa and involved exploration of marine engineering, bridges, biomass energy plants, hydro and dam engineering, floating solar energy panels, ground stabilisation, sustainability, whole life costing and environmental impact.